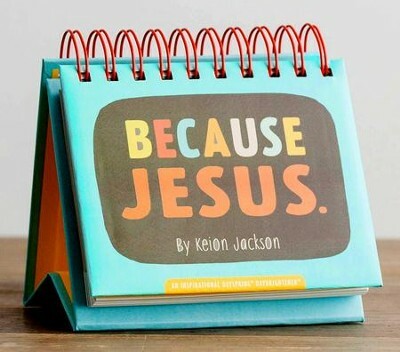 Because Jesus 365-day DayBrightener® perpetual calendar from DaySpring is filled with encouraging Scripture and moving quotes from Keion Jackson’s book of the same title. It explores the awesomeness of God’s blessings using fun-filled boosts of inspiration and truth. I'm the author/artist and I want to review Because Jesus Daybrightener.